A loan of $10,000 helped repeat Kiva borrower expand organic farm with larger greenhouse, more parking, and enhance farmers market presence. I was born and raised in the suburbs where neighborhoods were named after the farms they replaced. My wife was born and raised in the cornfields of rural Indiana. A place where traffic jams consisted of tractors and combines. And in a county without a single traffic light. We met in Milwaukee, Wisconsin. One could say that after my first taste of the Midwest, something in my soul started to click. Maybe it was just the hunter-gatherer in me, but something about the idea of producing food for a living seemed to resonate. It wasn't clear at first, but let's just say that I went to Penn State intending to be a landscape architect, and graduated from PSU with honors in entomology, a 3.98 GPA, 3 full beehives in the backseat of my car and a farmer's tan. Fast forward 5 years and we've been busy! Those three beehives in the backseat have turned into 45 beehives, and that farmer's tan is getting a bit more of a workout. We’ve established a model for productive, profitable farming on a small scale - and have taken every chance to share our knowledge with others. We are wrapping up a winter that saw us present over 20 farm/bee/business/marketing related workshops across the Midwest, 2 keynote addresses, and visit dozens of farms. Our vision is to serve our community by producing year-round nourishment for the mind and body while participating in the growth and revitalization of an innovative agriculture-based economy that provides sustainable jobs, fresh opportunities, and inspires new markets for producers of all kinds. We are passionate in what we do, dream of a better tomorrow, and want nothing more than to create a world for our children that celebrates a creative, productive, and sustainable way of life. It helps fund the expansion of the greenhouse and renovations to keep up with demand. We decided to start this business to practice what we preach, become good stewards of the environment, and improve our local community. We started our business just about 4 years ago, and it has been one heck of a ride so far! Perhaps we were naive, but we did not realize JUST how much demand existed for local, organic farm goods. We thought we had some good ideas, but we did not realize just how fast we would need to run to keep up. We’re proud to have been profitable for the last 2 years, but our biggest challenge continues to be keeping up with demand. This is actually our 2nd Kiva loan - we just finished paying off our first loan, in full and 10 months early. That trajectory is reflective of our business growth. The faster we can increase capacity and better serve our customers, the better. Our future goals center around 2 things - our customers and our community. The better we can serve our customers, the more we can afford to take care of our community. Thanks to our 1st Kiva loan and our greenhouse and hoop houses, we have been harvesting fresh salad greens for 140 weeks straight. Continuously. This is what our customers want and we work tirelessly to make it happen. As our business grows, we are adding monthly farm tours, dozens of gardening and beekeeping workshops, and hiring more local talent. We are proud to be our town’s first USDA Certified Organic Farm. We are proud to promote good business practices amongst our peers. 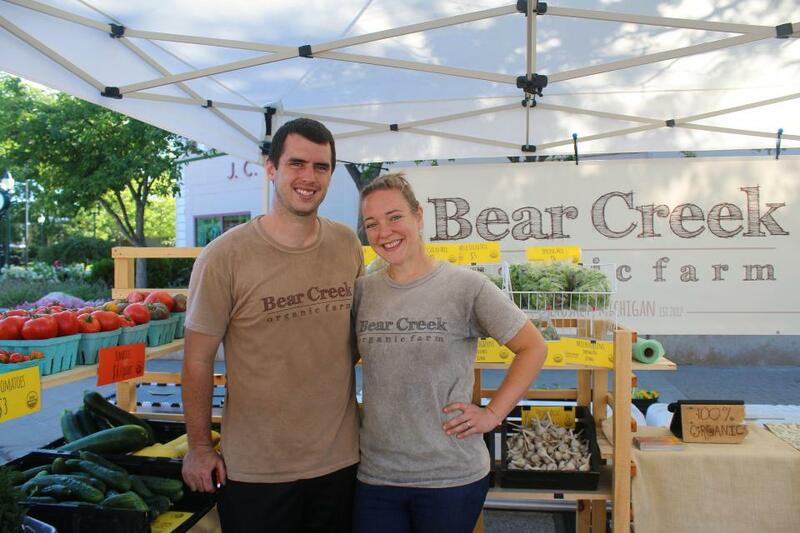 And we are very proud that we have been able to help energize our community’s burgeoning local food scene. This loan, in conjunction with other funding, will allow us to increase our greenhouse growing space by 50% (1200 sq. ft.)! It will help us accommodate more farm visitors by tripling our parking area, and improve our receiving area so we can receive truckloads of compost year round, as well as an increasing flow of deliveries by semi. Furthermore, this loan will support an enhanced farmers market presence as we continue to grow to serve our customers. We expect these investments to increase our business revenue by 25%, with greenhouse revenues almost doubling this season. We continue to see increased demand for our products, with our ability to keep up being our main obstacle. This is a good problem, and a call we plan to answer! In the last 3 years, our farm has gone from $0 in sales to almost $200,000 on less than 2 acres. We see this greenhouse expansion and increased operational capacity as a way to increase our labor force from a husband/wife team to adding 2 year round employees and another 1-3 seasonal workers. We’ve been growing quickly, but with intention - and we can see the path forward and this loan will help us get there. Why are you endorsing Brian? Brian has used many forms of finance to quickly grow his farm business to a significant scale, operating efficiently and profitably. Brian has not only benefited personally from his efforts, but has also become a great source of information and support for many other growers around Northern Michigan and beyond. A book must be in the works! I am proud to say that Nifty Hoops has been able to support Brian along the way, and to call Brian a good friend. This is Brian's second Kiva loan, after fully paying off the first. We strongly endorse Brian's loan and wish him continued farming growth and success. Please support Brian, and all small scale farmers, with Kiva loans.